ownCloud is a free software alternative to various proprietary web services and it includes file management (with built-in file sharing), music streaming, calendar, contacts and more, all running on your own server. 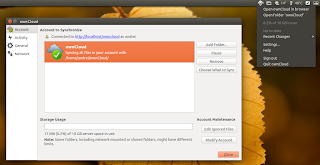 The ownCloud Desktop Client allows synchronizing ownCloud (server) with your computer. 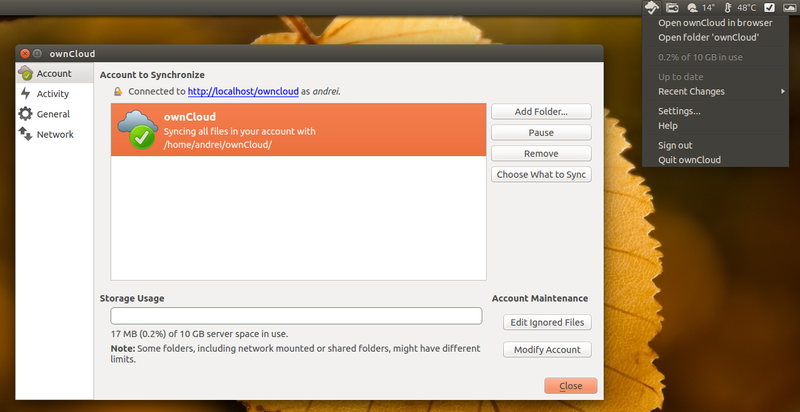 To use it, you must firstly install ownCloud on your server. ownCloud Client 1.7.0 was released a couple of days ago, bringing selective sync support, overlay icons for popular file managers as well as support for some of the new features available in ownCloud 7. You can select which folders to sync either from the initial folder setup (screenshot above) or by selecting "Choose What to Sync" for existing folders. From a quick look at the source code, it seems that Windows Explorer and Mac OS Finder are or will be supported soon (I didn't test the client on Windows or Mac OS X). Improved logging: more useful meta info, removed noise. sudo sh -c "echo 'deb http://download.opensuse.org/repositories/isv:/ownCloud:/desktop/xUbuntu_$(lsb_release -rs)/ /' >> /etc/apt/sources.list.d/owncloud-client.list"
For how to install ownCloud Client for your Linux Distribution, see the ownCloud Desktop repository @ openSUSE build system. 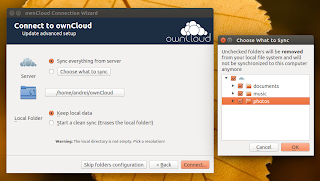 If you're looking for ownCloud server installation instructions, see THIS page.